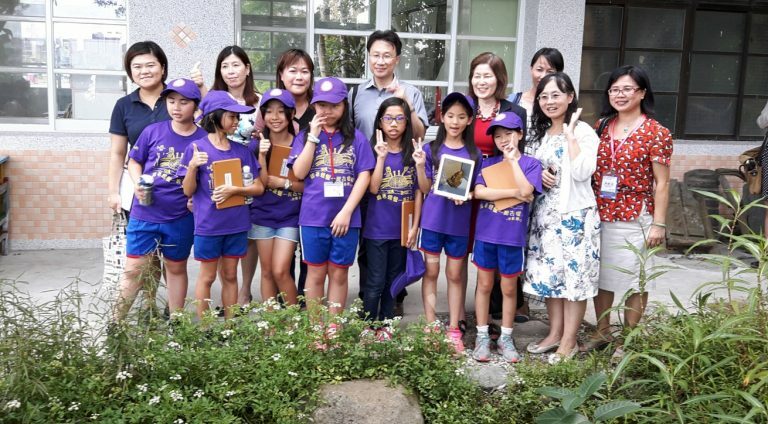 EPA Taiwan(EPAT), U.S. EPA and the National Wildlife Federation (NWF) co-hosted “The 2017 Taiwan-US Eco-Campus Teacher Professional Development Workshop” on July 6-7 at Micang Elementary School and XinTai Elementary School in New Taipei City, attracting more than 60 attendees. Speakers at the opening ceremony included Director General Liu Tsung-Yung of Department of Comprehensive Planning EPAT and Acting Assistant Administrator Jane Nishida for U.S. EPA’s Office of International and Tribal Affairs (OITA). During the two-day workshop aimed at teaching educators how to build a more sustainable eco-campus, a special speaker from the NWF, Laura Hickey, gave a lecture on project-based learning strategies. Educators of Micang and XinTai Elementary schools also shared with attendees how their have become model eco-campuses. The Taiwan-US Eco-Campus Partnership Program was launched in 2014. Now in its fourth consecutive year, the number of registered schools in Taiwan reached 316 by November, 2017.